Guest post by By Elizabeth Shara The Six-Word Memoir process came into my life at the perfect time. I had spent months trying to express the grief and pain that was tearing my heart apart. Writing had always been my go-to for personal growth and clarity but at this point in my life, filling pages with words did nothing for me. The tear-soaked paper only reminded me how fragile my world had become. 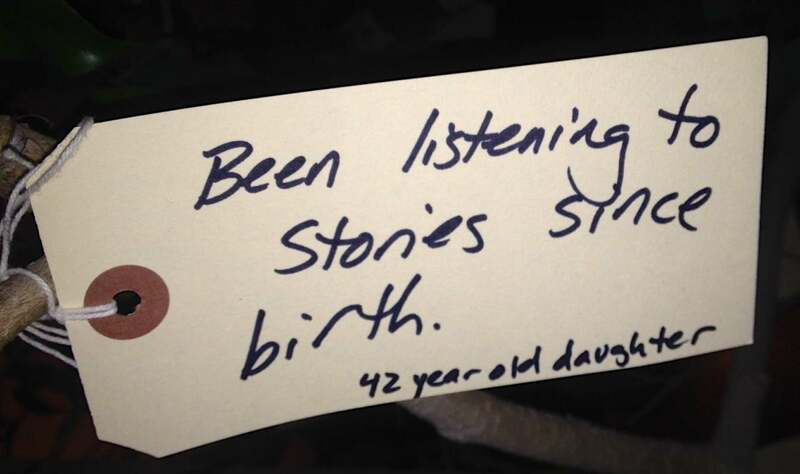 By Rebecca Soffer In July 2013, when I was four months pregnant with my first child, I peered over the heaping pile of fries I was sharing with my friend Larry Smith and asked if he’d collaborate on a Six-Word Memoirs storytelling event for the Modern Loss community. It seemed highly premature at the time. After all, the website I was building was months away from launching, and I was also planning on giving birth around the same time it did (my planning skills never were perfect). But Larry understood the need for the type of community I’d been dreaming of building and assured me that when the time was right, he was in. Welcome to the new Six-Word Memoirs site! Memoir of the Day is first up. 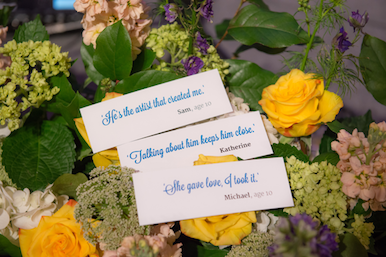 The Six-Word Memoir of the day appears on the left, and if the post includes an image, that image will appear in a box to the right of the words. All images have been resized to fit the box, but clicking the arrow in the right corner will render the image’s original dimensions. SixContest offers a competitive fix in just six words. Each monthly contest is a chance to claim “Top Six” props—sometimes our winner takes home a prize! Shop Six. Need a quick gift or special keepsake? Want to support our site? Now is the perfect time to share the gift of Six Words. “One Life. Six Words. What’s Yours?” is reminder that everyone has a story and we want to know yours. Start by posting a Six-Word Memoir and you’ll discover this site offers a creative outlet and so much more. 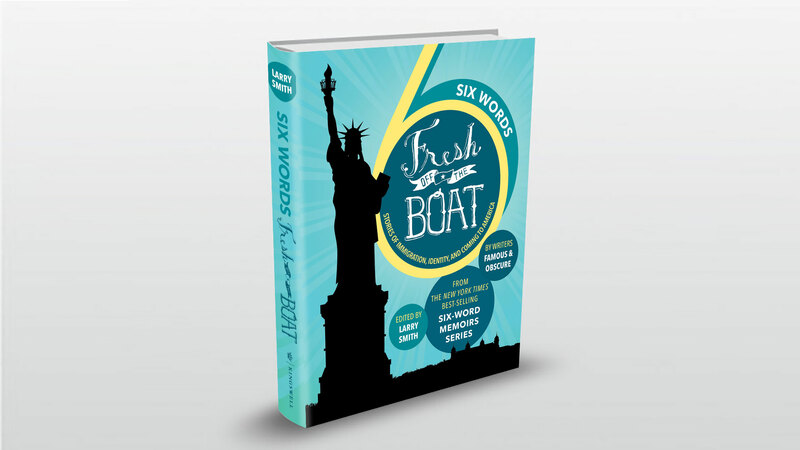 Six Words Fresh Off the Boat: Stories of Immigration, Identity, and Coming to America is the ninth book in the bestselling Six-Word Memoir series, and it brings us all the way back to the start of the project as we ask: Who are we as a nation? How does a family’s journey to America tell the story of this country as a whole? These questions have been answered, six words at a time (and for the first time in a Six Word book a number of backstories as well), by recent immigrants and refugees, by descendants of the Mayflower and those brought by force on slave ships, and by every generation in between. 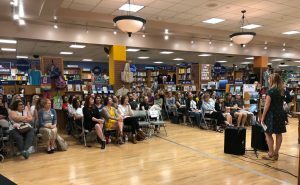 As always, we’ve invited a handful of celebrities to share their stories, creating a book with a mix of Emmy, Oscar, and Pulitzer Prize winners alongside hundreds of people who have never before been published—many members of this community of storytellers. Six Words Fresh Off the Boat was conceived before the election of the forty-fifth president of the United States. The unsettling political climate for immigrants that he has ushered in has made the discussions that follow from these stories more vital than ever. More then a decade after we launched SMITH Mag and Six-Word Memoirs this community is the reason that we continue to do what we do. 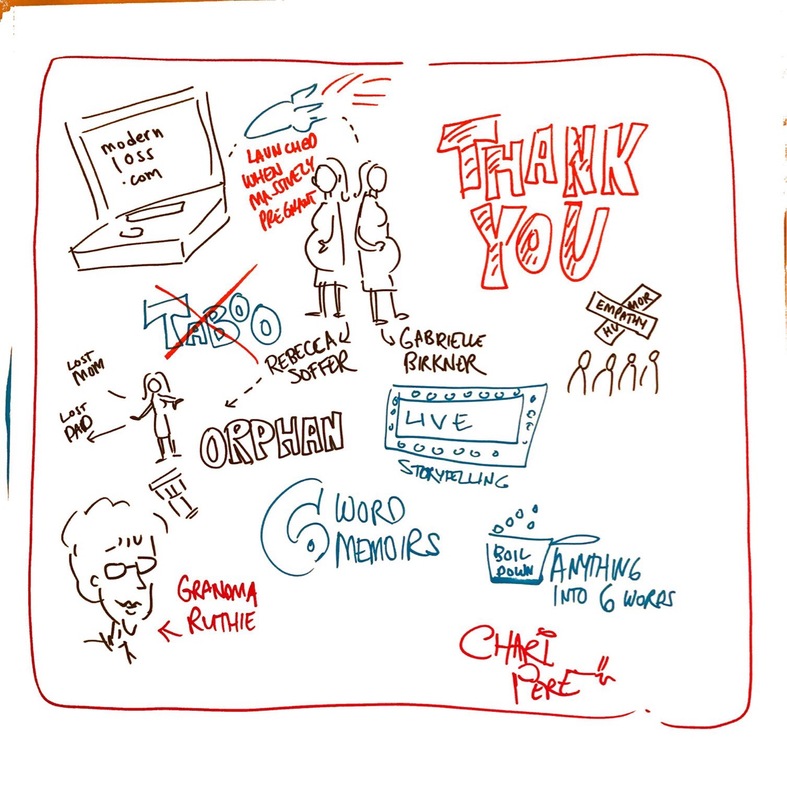 Your support and enthusiasm for the website — and the books that make it possible to keep it going — means the world to us. 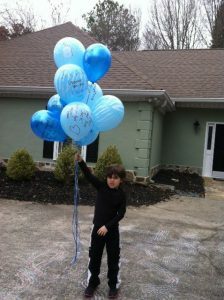 Your devotion fuels ours. We hope you will join us in spreading the word about a timely and unique book, one we are so proud to publish in September 2017. Please encourage friends and family to buy this book soon as the first few weeks of sales are vital to a book's success. Need a gift for a teacher? 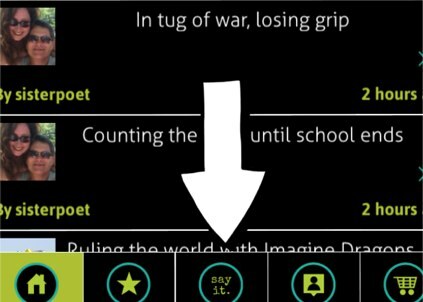 Six Words Fresh Off the Boat works quite well in a classroom (and we even have a free teacher's guide) —or anywhere else people gather to share stories. Here are the tools you need to spread the word: Buy the book: bit.ly/fotbsix Watch our video: https://youtu.be/438KG7TCBpQ Post it: on Twitter: @sixwords | Facebook: six-word memoirs | Instagram: six.word.memoirs Use the tag #sixwordsFOTB & post your six own words on coming to America with the video clip or your own photo holding up your words. 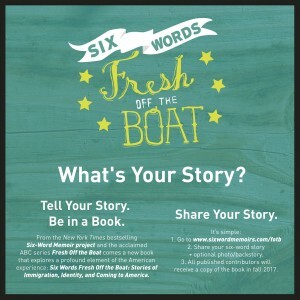 Call for Submissions: “Six Words Fresh Off the Boat” Book! https://youtu.be/_Hp1C69HhCc Be in a Book from Fresh Off the Boat & Six-Word Memoirs! 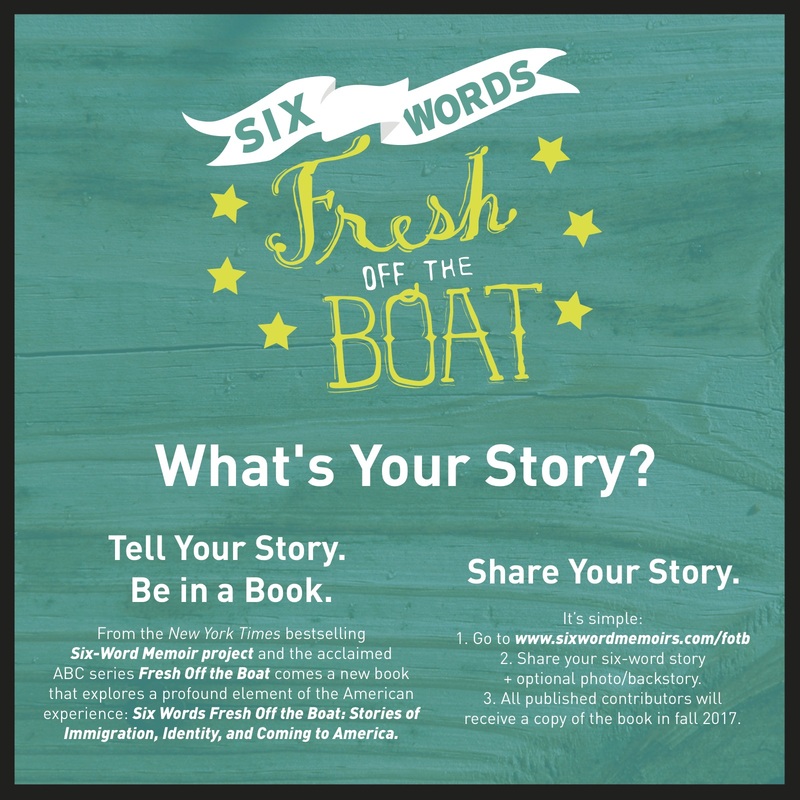 The Six-Word Memoir project and ABC’s acclaimed series, Fresh Off the Boat invite you to share your story for a new book, Six Words Fresh Off the Boat: Stories of Immigration, Identity, and Coming to America, publishing in fall 2017 from Kingswell/Disney Publishing. We believe this book’s simple and inclusive form will offer powerful and fascinating perspectives on coming to America — stories of safe havens, long journeys, complex transitions, and customs brought into this country by the millions of immigrants who indeed make America great. 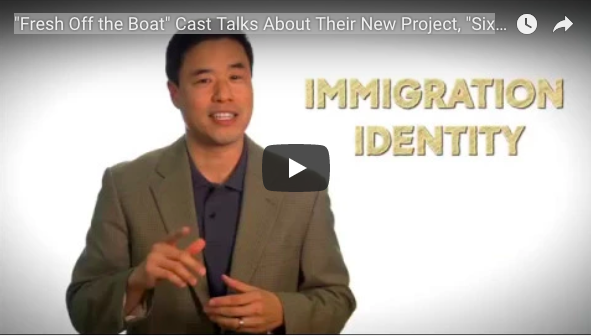 Who has a Six Words Fresh Off the Boat story? Everyone. We are seeking the widest range of stories possible, stories from the lens of immigrants and their descendants, as well as anyone who has a family story of coming to America. In other words, all of us have a story to share. We’ll also be including a number of “backstories,” more information below. Writers are welcome to submit a memoir in their native language (so long as the English translation is six words). A few examples: Immigrant. Worker. Sole provider. Extraordinary Woman. Grandma's apron sailboats docked in kitchens. Sister pretends she can't use chopsticks. A secret life because of immigration. Emerged educated emigrated immigrated. Elected. Elated. Russian immigrant learns English, becomes MD. Feuding with three family members? Persian. —Nahnatchka Khan, showrunner, creator Fresh Off the Boat Another Greek Odyssey, thriving in America. —Arianna Huffington ​The deadline for submissions is February 15, 2017, and anyone can share a story on sixwordmemoirs.com/fotb or send an email to fotb@sixwordmemoirs.com. 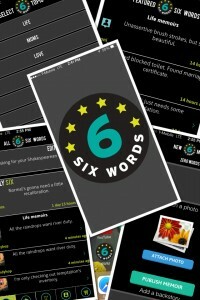 Six Words Turns Eight! Thank You. Eight years ago, just before Thanksgiving 2006, my then-SMITH Mag crew, Tim Barkow, Rachel Fershleiser and I challenged this community to describe their life in exactly six words. Giving Ernest Hemingway's legendary six-word novel ('For sale: Baby shoes, never used"] a personal twist, we called this new section of SMITH "Six-Word Memoirs." We teamed up with a newish site that had an equal fondness for the short form called Twitter. And we had no idea what was coming next. I remember telling my family about it. Everyone at the table, from ages 6 to 80, immediately took to the form; Sixes were flying across the table (my 11-year old nephew: "I have one for Pop-Pop: 'Memory loss. What was I saying?'"). And the Sixes have been flying ever since. Some eight years later, more then a million Six-Worders have been shared on Six-Word Memoirs from SMITH Magazine and the concept just keeps growing in ways I could never have imagined. 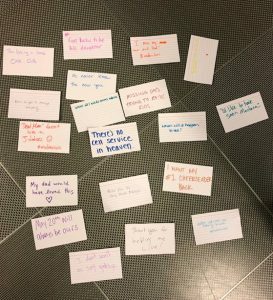 This past year we released a Six-Word App, announced the Six-Word Advice book, started a new live events series at the 92Y, published a workbook and launched a new site for teachers/classrooms (more on that below), partnered with Urbanful for a Six in the City project (beginning with DC), and brought Six Words to a TEDx event inside a men's prison. 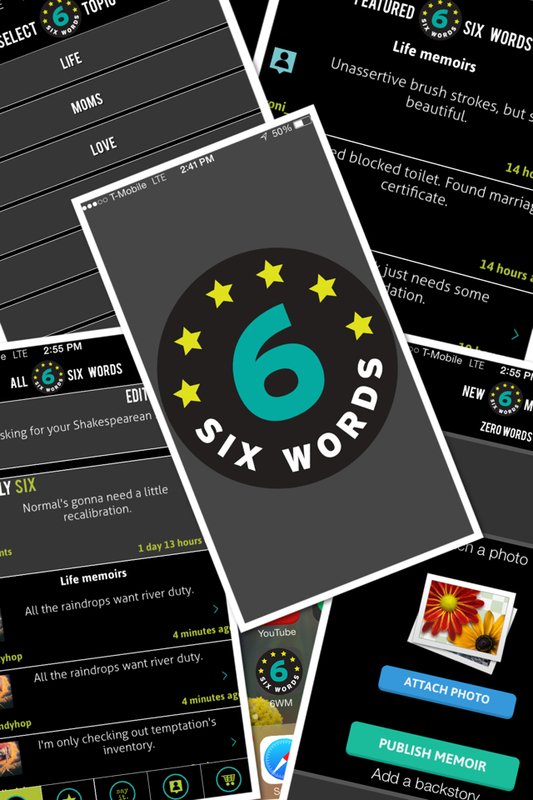 The Six Words app is here! 2. Write a Six-Worder on any topic. See that square? Click for topics. 3. 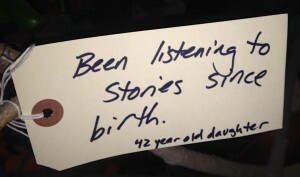 Include a photo with your story. You can select from your camera. 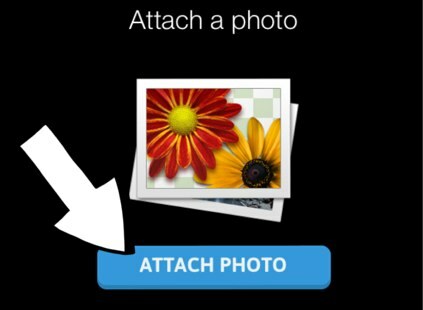 Or simply take a new picture.